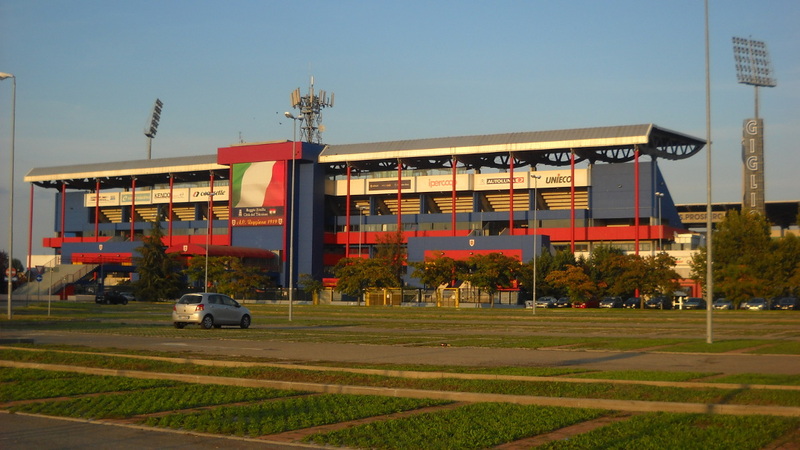 MAPEI Stadium – Città del Tricolore, earlier called Stadio Giglio, was the first modern club-owned stadium in Italy. It got built in 1994 and officially opened on 15 April 1995 with a match between home side Reggiana and Juventus. The stadium received a minor refurbishment in 2012, and at the same time got renamed Stadio Città del Tricolore. In 2013, Sassuolo Calcio, newly promoted to Serie A and lacking a stadium with proper facilities in their home town, announced to have reached an agreement to make Stadio Città del Tricolore their home for the next two seasons. Sassuolo consequently decided to rename the stadium to MAPEI Stadium – Città del Tricolore. MAPEI Stadium – Citta del Tricolore is located on the north-eastern edge of the city of Reggio Emilia at about 2.5 kilometres from its historic centre. The distance from the train station, located east of the centre, is slightly shorter. There is a frequent direct train service from Milan (1.5 hours) and Bologna (40 minutes) to Reggio Emilia. You can either walk from there to the stadium, which takes about half an hour, or take bus 5 or H. Take bus 5 in the direction of Mancasale Fiera and get off at stop Via Duo or take bus H to Parcheggio Stadio and get off at the last stop. Bus 5 is a few minutes quicker (10-minute journey), but bus H runs more frequent. Both buses run through Reggio Emilia’s historic centre as well. If arriving by car from the A1, leave at exit Reggio Emilia. Pass the toll booth and turn onto the subsequent roundabout. Take the second exit following the little football symbol and sign Stadio. Keep following similar signs to get to the stadium. MAPEI Stadium – Citta del Tricolore is located on the edge of the city surrounded by farmlands and a mixture of residential and commercial buildings. There is also a small waterpark located next to the stadium. Perhaps surprisingly, there is a shopping mall located inside the stadium buildings, the I Petali mall, which has a food court and a few restaurants. There are a few more roadside restaurants a little further away. However, it is a rather newly developed area which lacks the typical Italian charm that you can find in Reggio Emilia’s pleasant city centre which goes for a better location for eating and drinking. If you wish to stay close to MAPEI Stadium, then the Holiday Inn Express Reggio Emilia, Hotel Remilia, and Hotel Cristallo are three well-rated options at less than 15 minutes walking from the stadium. The latter is also at easy walking distance from Reggio Emilia’s city centre. There are about a dozen more hotels to choose from in Reggio Emilia’s city cente. Click here for an overview. Of course, depending on the kick-off time, you can also easily travel in for the match from Bologna or even Milan or Florence. Tickets for Sassuolo games can be bought online, or at any of the Vivaticket sales points, of which the Bar Tabacchi Kukkuma news agent is the only one in Reggio Emilia’s centre. Ticket prices depend on the opponent. For a regular match, expect to pay between €20.00 for a seat behind the goal to €45.00 for a central seat at the main stand. For a match against a high-profile opponent, this can get increased to between €28.00 and €100.00. Tickets for Reggiana games can be bought online through Ticketone, or at Edicola & Dintorni news agent at Corso Garibaldi 47 in Reggio Emilia’s city centre, or at the Media World store at MAPEI Stadium. Expect to pay between €9.00 and €18.00 for a ticket. Reggianacalcio.it – Offiicial website of AC Reggiana 1919. Sassuolocalcio.it – Official website of Sassuolo Calcio. Turismo.comune.re.it – Reggio Emilia tourist information. Setaweb.it – Reggio Emilia public transport information.